Lego is on the verge of rolling out another augmented reality app for iOS, with this one fulfilling ARKit-related promises made at WWDC in conjunction with a few sets —and more likely to come. 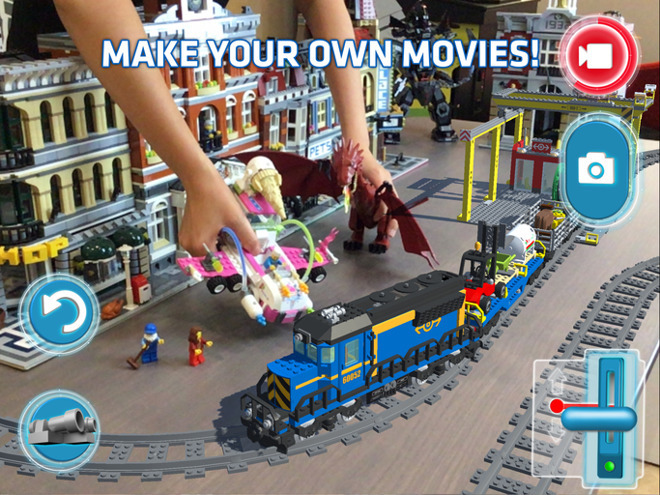 The new app, called LEGO AR-Studio allows children to play with digital versions of some of the most popular sets, in real-world scenes using augmented reality that mixes them with physical models. In the app,users can control what the company calls "virtually enhanced animated versions" of six sets at launch. Special play features include a dragon breathing fire, trains sounding a horn or a Lego firetruck using a fire-hose —all of which can be activated while playing. Virtual Golden Bricks are also hidden around in the Lego AR environment, for users to discover and collect while using the app. Lego City sets compatible with the launch version of the app are Police Station 60047, Train Set 60052, and Fire Station 60110. Three Ninjago sets also are supported at launch, including Green Dragon 70593, Cole's Mech 70632 and Destiny's Bounty 70618. The app was developed in-house by the Lego Group's Creative Play Lab. The Creative Play Lab was founded to executing new technologies in conjunction with physical Lego. Lego hasn't always been successful with their effort to integrate the digital realm with the physical bricks. The "Life of George" app prompted users to build a Lego figure and take photos of it in assorted locations, and it never generated any real traction. A larger effort, "Lego Dimensions," encompassing multiple genres of media including Batman, Doctor Who, and Ghostbusters, collapsed earlier in 2017. 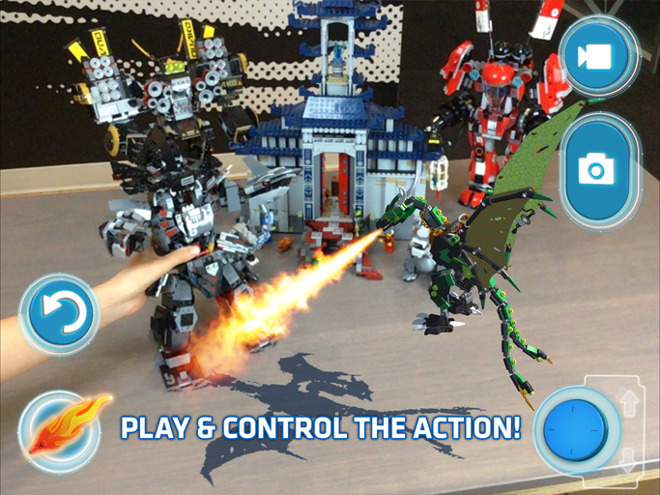 An earlier augmented reality attempt, with Lego Fusion in 2014, also wasn't well adopted. More successful ventures are Lego Mindstorms robotics kit that has been available in several incarnations over about a decade, and the recently released Lego Boost with a similar robotics focus. Lego has not announced when AR-Studio will be available, how much it will cost, or the magnitude of in-app purchases. While Lego says that the app uses ARKit, it appears that at least an early version of it is running on an iPhone 5c as shown in the video embedded above.